The Seagulls almost came back from being dead and buried after finding themselves two down at Palace after just 14 minutes. Wilfried Zaha put Palace ahead with just five minutes gone, then James Tomkins doubled their lead on the quarter hour. Glenn Murray – no stranger to Selhurst Park – pulled a goal back for Albion four minutes later. But Zaha was at it again on 24 minutes as he put Palace back into a clear two-goal lead. With still just only a third of the game complete, Jose Izquierdo scored the fifth goal of the match. Albion had chances in the second half to draw level. Those of note fell to Shane Duffy, substitute Leo Ulloa and most notably Glenn Murray, who missed a sitter in stoppage time. 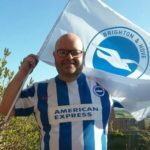 Albion stay 13th in the Premier League although West Ham could go above them tomorrow. 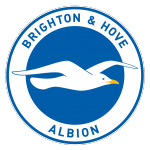 The Seagulls host Tottenham Hotspur at the Amex next Tuesday (17 April) at 7.45pm.